Laffly was a civilian truck manufacturer, founded in 1912 at Billancourt, near Paris. 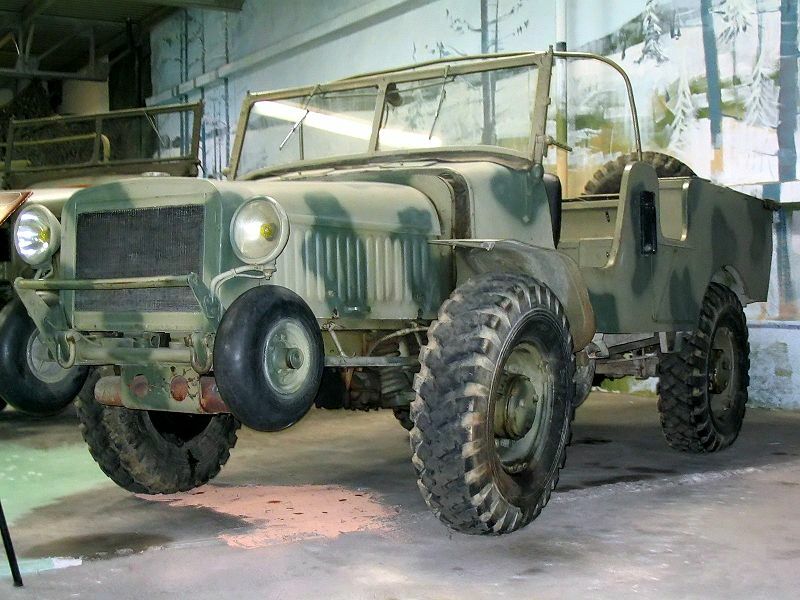 It was renowned for its firetrucks and 4×4 vehicles, both designed for civilian use and for the French Army, like the 4WD V15 artillery tractor and the 6WD S15. 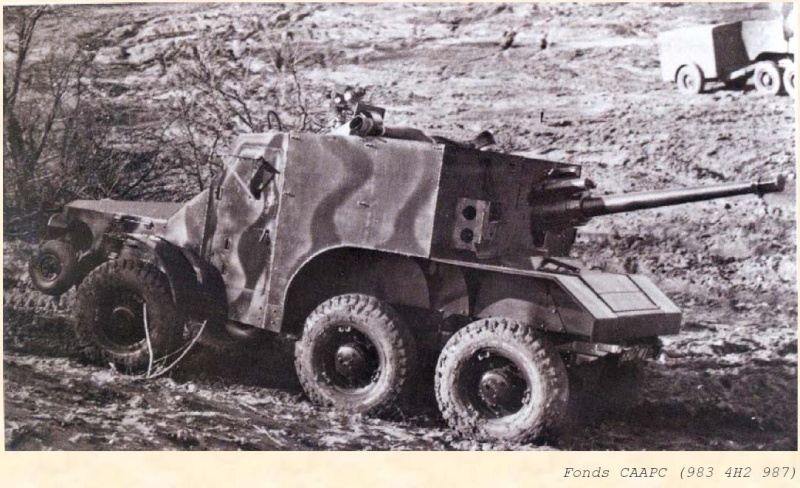 Both models were characterized by excellent off-road capabilities and specific trench-crossing features provided by extra rollers, uncommon for armored cars in general at the time. By some aspects, these vehicle were similar to the German Krupp-Protze 6×6 light truck and their chassis proved equally versatile and reliable. The 6×6 family comprised the following vehicles. The Laffly S15T, a light artillery tractor that served the 75 mm (2.95 in) mle 1897 field gun, Canon de 105 court mle 1935 B howitzer or AT guns like the canon de 25 antichar. The Laffly S15R, a reconnaissance vehicle that had a lighter rear cab and modified transmission to allow less torque, but higher speeds. This vehicle was only armed with a single MAC 31, FM 25/28 or Berthier machine gun. The Laffly S15T, a low-profile standard tractor made by Hotchkiss to tow the standard French 47 mm (1.85 in) antitank gun. The Laffly S15L, the ambulance version, with a rear modified to carry six stretchers and covered by a tarpaulin. Based on the S15 chassis, this vehicle was fully armored, with 7 mm (0.27 in) steel plates riveted on a central frame. The vehicle was characterized by the absence of the central rollers, due to their intended colonial theater of operation. TOE literally meant “Théatre d’Operations Extérieur” or External Operation Theater. It was tested in 1934 in Africa, then an order was placed in 1936 and deliveries took place in 1938-39. Both the driver and commander were seated in the cab and could see through folding up armored shutters and sight slits when buttoned up. Just behind was located the machine-gunner, which operated a Reibel 7.5 mm (0.29 in) light machine gun in a hemispheric turret or a simple open air mount that allowed anti-aircraft fire. Access was granted by side doors, and there was a small utility cargo bay at the rear, between the twin axles. Hinged observation ports were also located at the rear. 45 vehicles were provided by Laffly until 1939. 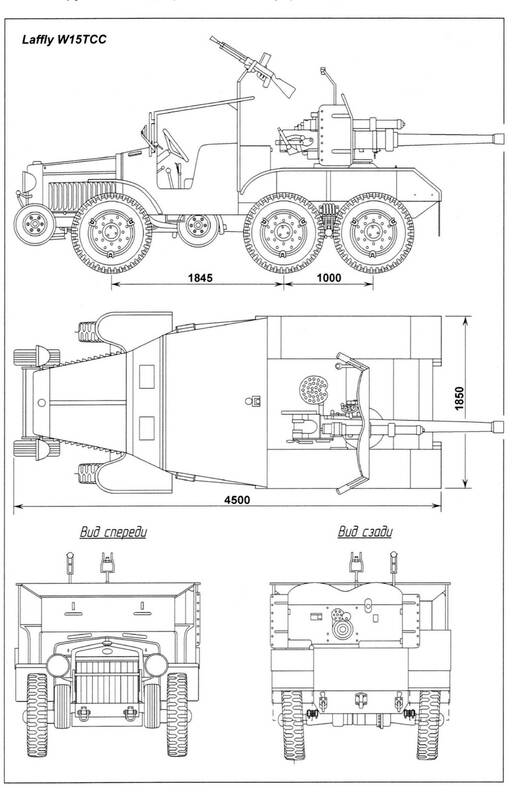 Derived from the W15T, this vehicle was characterized by the same general 6×6 configuration, with a pair of rollers at the front and another in the middle, between the two axles. Neither was suspended and were meant only to provide additional ground pressure when crossing trenches or high obstacles. After an idea of general tank inspector Keller, rather than tow the 47 mm (1.85 in) antitank gun, the latter was carried directly in the cargo bay, facing the rear of the vehicle. Such a conversion was ordered for trials early in 1940 by the general staff, with the intention of providing mobile antitank capability to motorized divisions. TCC meant “Tracteur Chasseur de Chars”, tank hunter tractor. The original prototype was entirely armored. The series vehicles were mostly identical, except for the fact that the cabin and the 47 mm (1.85 in) SA mle 1937 gun were not fully enclosed anymore. The gun had -13°/+13° elevation and 60° traverse. Production vehicles only retained the lower part of the armor and a new shield for the gun. After successful trials at Vincennes and in the camp of Mailly, the conversion was only approved on May, 17. Between May 24 and June 17, 62 TCCs were delivered of the 100 ordered. The W15 TCC were the first vehicles of this kind and proved very efficient in service with the Batteries Antichar Automotrices (BACA) n°51 to 61 of the 11th RA and the 305e RA2 10th battery. Despite their numerous kills, they could do little to reverse the situation and, by the end of June, all had been lost in action or abandoned. The S15 TOE were already in the French African colonies when the war broke out. They were used by Tirailleurs motorized units for reconnaissance and patrols. After the June 1940 armistice with Italy, four vehicles stationed in Tunisia were captured and reused by the Italian forces with RECAM (Raggruppamento Esplorante del Corpo d’Armata di Manovra) until December 1941. These were rearmed with a 8 mm (0.31 in) Breda 38, while a 13 mm (0.51 in) machine-gun was installed in the cargo bay for AA defense. 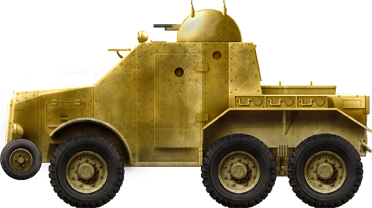 The French vehicles were replaced, after December 1942, with Allied vehicles, like the Marmon Herrington. The Germans captured and reused some Laffly W15Ts, rebuilt with a sloped armor reminiscent of the Sd.Kfz.250/251 half-tracks. Laffly S15 TOE in Syria, 1941. The Laffly W15 TCC fully enclosed prototype on trials at Camp of Mailly in April 1940 and with the 1st DCR. Despite being successful, Generalissimo Pierre Gamelin refused the conversion, because of insufficient protection and other priorities. But, after the 17th of May, an order came for the delivery of 5 vehicles per day. Laffly never came near this figure, but delivered 60 vehicles, only partially protected due to the lack of time. Series Laffly W15 TCC, May 1940. Some were also camouflaged with brown stripes.